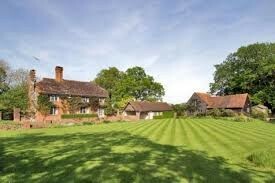 Our returning client is looking for a Live-In Full-Time Professional Couple - PA and Groundsman (House manager/Gardener). The Groundsman will take care of the territory around the modern property of 8 bedrooms in Totteridge Principal is usually there 3-4 days per week (sometimes less). The location is quite remote so driving is essential. Ideal candidate will be someone experienced, discreet, quite who gets on with the job and can work independently. The Estate Personal Assistant will take care of the client and their properties in London and abroad, so you would be required to travel. Booking Holidays, domestic and international travel for the family, family office and external contractors where necessary. Update and maintain information regarding the family, preferences circulating to house managers and staff worldwide. Sourcing and negotiating beneficial terms with all ‘lifestyle’ suppliers necessary i.e. florists, dry cleaners, specialist food stores etc. Please APPLY ONLINE via our website perfecthouseholdstaff.co.uk or contact our team at or by phone on 0203 318 4468 ext 110.